The Ferrari 330 GT 2+2 Interim is a super rare car and nobody in his right mind would modify this Pininfarina styled beauty. Mind you – I wouldn’t do this to a real vehicle either, but pixels never complain. Frequent readers of my blog know that I do have a sweet spot for two-door wagons. 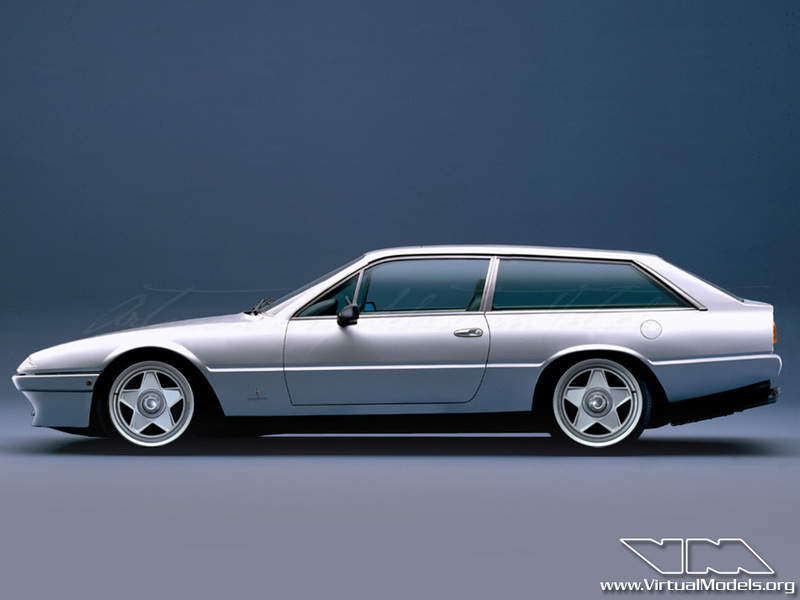 Whether they are called shooting break or shooting brake is an entirely different story. I decided to call them shooting break, because some (European) manufacturers call their regular station wagons Break. The Ferrari 412i 2+2 is a very nice base for a shooting break conversion. Straight lines would make it easy to perform this task in real life. Though I doubt that anybody would actually so that. Most people would probably just run away and scream bloody murder! Frequent followers of this blog know that I have a soft spot for cars with edges. 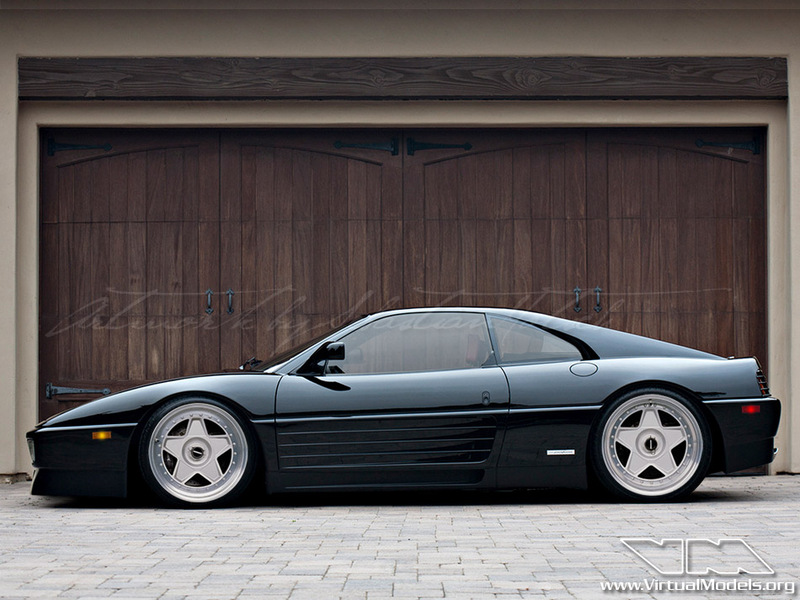 This is no exception, as I’ve always liked the styling of the Pininfarina designed Ferrari 348. Found this picture in the internet and thought that it would look a lot better lowered and with a proper set of wheels. Said and done, here is what I came up with in not even half an hour working on it in Adobe Photoshop. Simple, clean and timeless – exactly the way I like cars. The Pinin Concept had a huge influence on the design of many cars of the mid to late eighties. 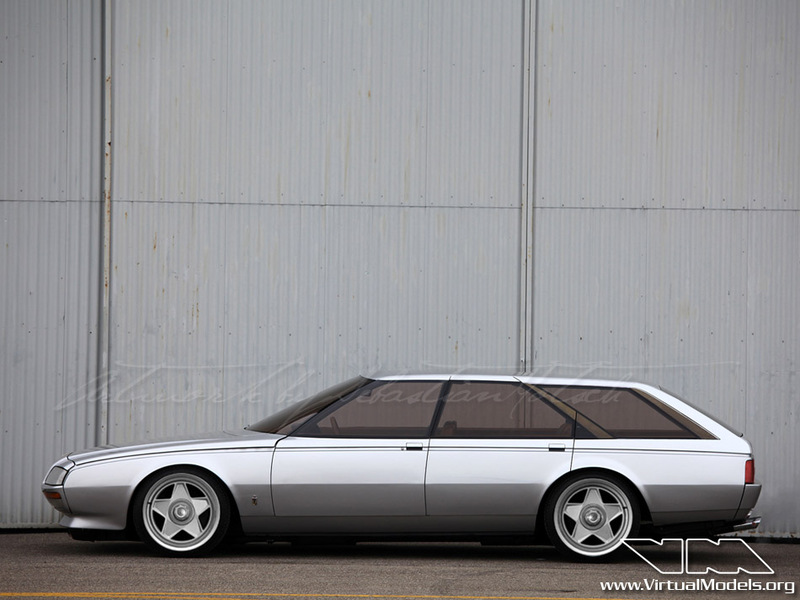 A beautiful and elegant vehicle, designed by Pininfarina. For a long time I wondered what it would look like as a more practical estate wagon. Just as elegant, isn’t it?